The new manager is content he can handle Leicester's dressing room. Schmeichel's father, former Manchester United goalkeeper Peter, had been critical of the Foxes' manager. 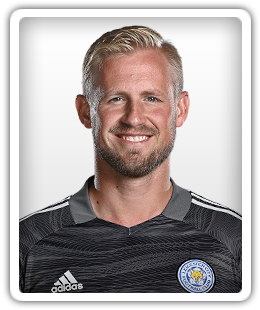 Former Manchester United goalkeeper Peter Schmeichel hints that his son, Kasper Schmeichel, is unhappy at Leicester City. Relive Sports Mole's live coverage as Manchester United beat Leicester City in the Premier League to give Ole Gunnar Solskjaer a ninth win in 10 games. Liverpool miss the chance to move seven points clear at the top of the Premier League table as they are held to a 1-1 draw by Leicester City at Anfield. Leicester City come from behind to register a 2-1 over 10-man Manchester City to leave Pep Guardiola's side seven points adrift of Premier League leaders Liverpool. Relive Sports Mole's live coverage as Leicester City register a 1-0 victory over Chelsea in Saturday's Premier League clash at Stamford Bridge. Relive how Spurs regained third in the Premier League table with a 2-0 win over Leicester, courtesy of Sports Mole's minute-by-minute updates from the King Power. Ryan Giggs' side will finish top of their Nations League group with a Cardiff victory. The goalkeeper's father Peter and the Wales boss were teammates at Manchester United in the 1990s. Wales and Denmark meet in a crunch Nations League clash in Cardiff on Friday. Relive Sports Mole's live coverage as Leicester City and Burnley play out a 0-0 draw in the first game at the King Power Stadium since the death of Vichai Srivaddhanaprabha. Srivaddhanaprabha's family and the club's players have joined in grief. Keeper Schmeichel thanked the Foxes chairman for making his dreams come true. Kasper Schmeichel led the outpouring of emotion after the Thai businessman’s death was confirmed. Alphonse Areola was open to joining Chelsea from Paris Saint-Germain during the summer, according to the Blues' goalkeeping coach Christophe Lollichon. Leicester City announce that goalkeeper Kasper Schmeichel has signed a five-year contract extension at the King Power Stadium. Leicester City boss Claude Puel suggests that an injury to Manchester City's Kevin De Bruyne has served as a warning that he cannot rush his international players. Leicester City goalkeeper Kasper Schmeichel is highly critical of the "exceptionally harsh" treatment that Burnley signing Joe Hart has suffered in the past few years. Chelsea boss Maurizio Sarri 'hopes' that Thibaut Courtois will remain at Stamford Bridge, but admits that he cannot be sure whether a move to Real Madrid will go through. Manchester United manager Jose Mourinho claims that his side will be at a disadvantage during the first two games of the season due to their World Cup absentees. Leicester City boss Claude Puel says that the Foxes have received no offers for goalkeeper Kasper Schmeichel. Leicester City announce the signing of Liverpool goalkeeper Danny Ward on a four-year deal.